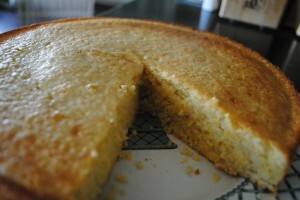 Sweet cornbread is an ODE to Summer. I have made it one of my new goals to create a COMPILATION of simple, traditional, no-fuss, homemade recipes to which I can always refer back. 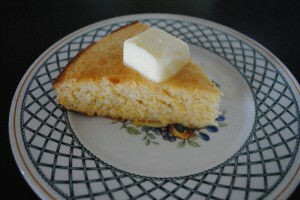 Sweet cornbread was the first side dish I AGONIZED over, (I’m a self-confessed perfectionist and some recipes just don’t come easily) and I’m proud to report back that I’ve come up with a successful outcome. I think you’ll love this one. 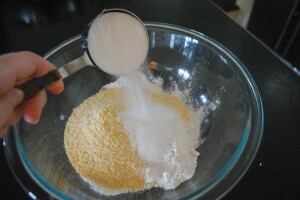 Ingredients: 1 cup all-purpose flour, 1 cup yellow cornmeal, 1/3 cup granulated sugar, 1/3 cup tightly packed light brown sugar, 1 1/2 tsps salt, 3 tsps baking powder, 1 egg, 1/2 cup milk, 1/2 cup half-and-half, 6 tbsps melted sweet cream butter. 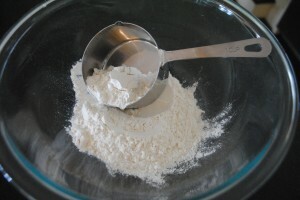 Pour the flour into a large mixing bowl. 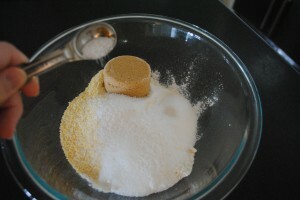 And the brown sugar for a smoky sweetness! 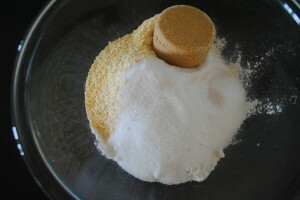 Next the salt goes in. 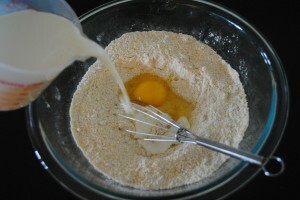 And mix, mix, mix the dry ingredients until they are all combined. 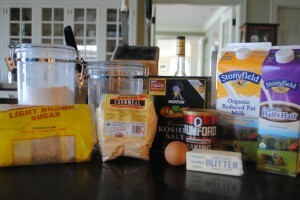 Pour in the milk, egg and half-and-half. 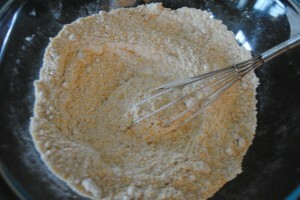 Don’t stir just yet. 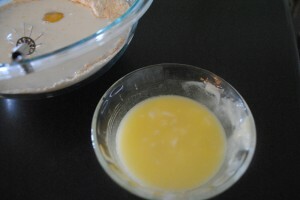 Then pour in the melted butter. Almost done, I promise. Mix everything until just combined. 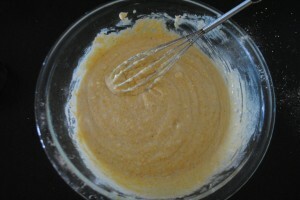 Then put down the whisk and walk away for 10 minutes to allow the mixture to thicken up a bit. 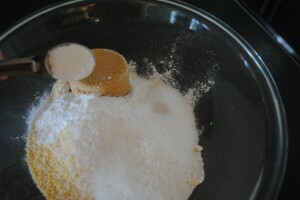 Place the mixture into a sprayed, 9″ round cake pan, bake for 20-25 minutes or until toothpick inserted comes out clean. 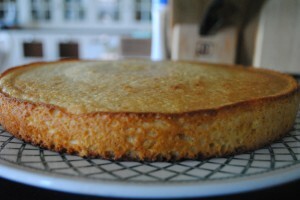 Once done and cooled for 10 minutes, transfer the cornbread onto a serving dish. 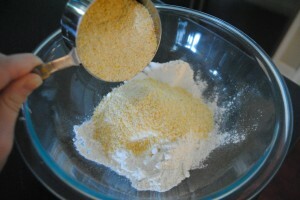 Cut the warm bread into wedges and serve with a generous pad of warm butter. Yum. 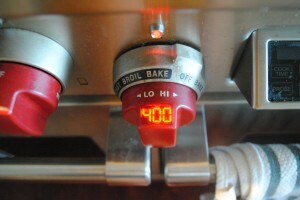 This entry was posted in First Course (Appetizers), Recipes, Side Dishes, Vocabulary. Bookmark the permalink.